How do Tibetans construct their own space and place, and what does cham have anything to do with this? While there are many socio-cultural ways in which Tibetans construct their own place, I focus my discussion on how Tibetans construct their own spaces through the masculine ritual practice of cham. Masculine because cham is performed by a cast of Tibetan Buddhist monks—and more recently by some nuns, but for the purposes of this discussion, I’ll be focusing on the men who have historically dominated this ritual. 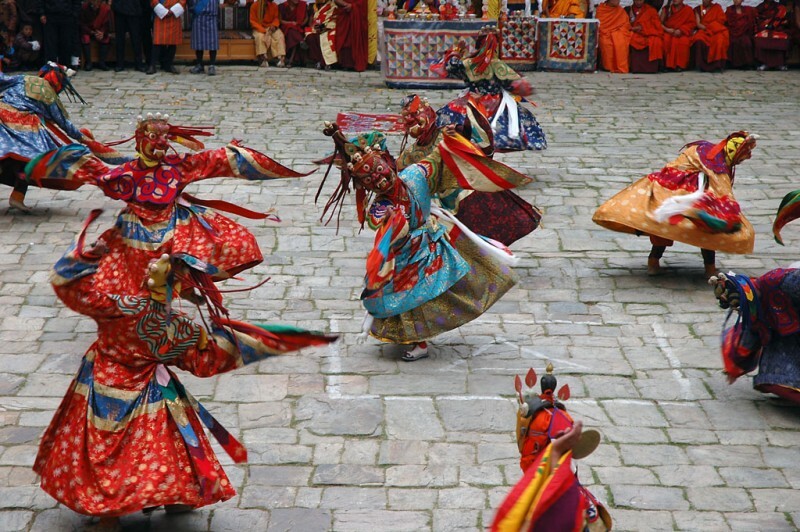 Among the many meanings accorded to cham, the ritual is a dance that reenacts the heroic story of Padmasambava (Guru Rinpoche) in Tibet, the popular Indian tantric teacher who came to Tibet, tamed all the deities of the Tibetan landscape and helped spread Buddhism across the Tibetan plateau. 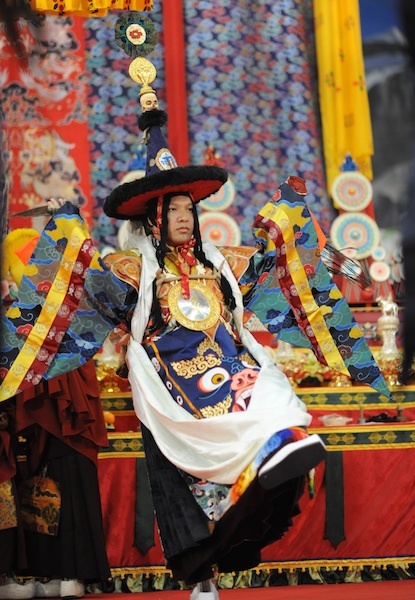 In addition to being a historic rendition of Padmasambava, cham is a public ritual performed every Tibetan new year for various purposes too many to list right now. However, during last Tibetan new year’s cham ritual in Nepal, I was told by another Tibetan that one of the things cham addressed was to purify our collective karmas and remove obstacles in preparation for the new year. This perpetual need to purify spaces through cham at every monastery is based on the belief that human and demonic agencies are always infiltrating the purified spaces of the monasteries and the towns that surrounds these monasteries. During cham, the Lama, the monastic head, acts, as the initiator of the cham ritual—without him the ritual is not possible. Throughout the cham performance, the Lama places himself at the center, while his assistants surround him, and together they visualize themselves as forming a mandala. The Mandala is a geometric figure representing the universe in Buddhist symbolism. The Lama visualizes himself as King Chakravartin, the benevolent ruler of the universe, who controls both social and political space. After which, the Lama brings down the deities who live in the region’s mountains down to the ritualized mandala ground the Lama has constructed, and begins to embody the deities. Afterwards, using a tantric dagger, the Lama performs the ritualized act of taming the deities. In straddling both human and deity world, he is able to ritually tame the land through the subjugation of its deities, and renew the relationship humans’ share with these deities. Charlene Makley calls this process “mandalization” (2007: 53). Thus, it should come as no surprise that Tibetan Buddhist landscapes both in ritual space and literal place (monasteries and towns) both inside and outside Tibet are always constructed in the image of mandalas. As the initiators of such spaces and places, Lamas become important figures to Tibetans who understand and define their landscape in Tibetan Buddhist terms. Due to their recognized roles as, “divinized embodied agents operating from the center of a mandala,” who have the ability to dominate deities, they are recognized as occupying a higher position than the deities of the land—making them, the ultimate examples of Tibetan masculinity. In Makley’s “Fatherland,” she focuses her discussion on Labrang monastery in Amdo before Chinese forces invaded in 1949. The first Lama Jamyang Shepa founded Labrang monastery in 1709. Due to his hyper masculinized role as the head of Labrang, he determined, as Makley argues, the sociopatial relationships Labrang assumed with its smaller and bigger neighbors, like the Qing Empire. Under the masculine roles of the Jamyang Shepas, who were revered by the public for their spiritual and political abilities, Labrang became a bustling spiritual and economic center (59). This role also allowed Labrang, as Makley argues, to become a fiercely protected autonomous area from Lhasa or Qing authorities. 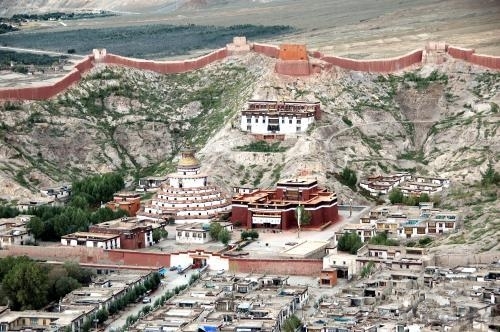 Due to the success of Labrang’s sacredness and trade, nomadic tribes, moved by the desire to be in close spatial proximity to the Lama and his monastery, came to settle permanently outside monastic compounds—forming a ripple effect of settlements outside, that joined the mandalized (infra)structure of the monastery. During the yearly cham festivals, in additional to the local inhabitants, many nomadic tribes from far converged on Labrang to observe and partake in the two-week festival. In addition to the hyper masculine role the Lama takes on during the cham ritual, Makley highlights other spaces of prestige and masculinity that non-monastic men participated in. Public displays of affiliation and affinity to the monastic and its figures through gift offerings could, as Makley argues, heighten their own masculinities. During the festivals, “tribal leaders vied with one another to demonstrate their political prowess by donating the most and best items of food, butter, meat, and money successfully collected from their constituents” to the monastery (69). Donated food is then redistributed freely to the public during the two-week prayer sessions. Another way the Jamyang Shepas attempted to “recruit and regulate” the participation of lay male patrons from politically powerful families was to appoint them “prestigious supporting ritual roles” to publicly reward them for their patronage. Their responsibilities were to patrol the town and the monastery during the festival. These roles during the festival, writes Makley, “literally mandalized key laymen,” who would ensure their continued loyalty and patronage to the monastery. These prestigious roles, bestowed on them by Lama Jamyang Shepa, further masculinized their stature among the public. However, with the arrival of the Chinese Community Party (CCP), everything changed. Tibetans were viewed as barbaric and backwards. Unlike the Buddhist Qing, ‘liberation,’ according to atheist CCP, was not achieved through tantric rituals and practices, but through the rationalized idea of modern progress. When the Chinese invaded, they settled in popular Tibetan urban towns, notably Lhasa, the capital city of Tibet and home to the most sacred monasteries in Tibet. They quickly learned that the Lamas lived in these urban towns where the biggest and oldest Tibetan monasteries were situated. 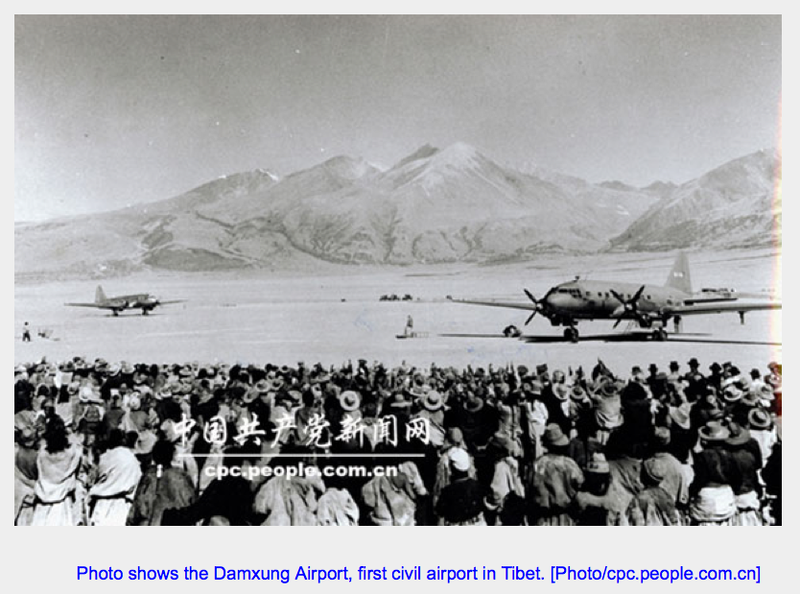 During a brief collaborative period between the Lamas and CCP, the first thing Chinese soldiers did, according to Tibetan witnesses, was to build roads and landing strips for airplanes. While Tibetans tamed their landscape through mandalization using tantric Buddhism, CCP sought to tame it using ‘modern’ technology. Lefebvre (1991), Harvey (2006), and Smith (2008) reflect on roads as a technological feat designed by capitalist states to eliminate the obstacles of distance and assist in its project to remake space in its own image. 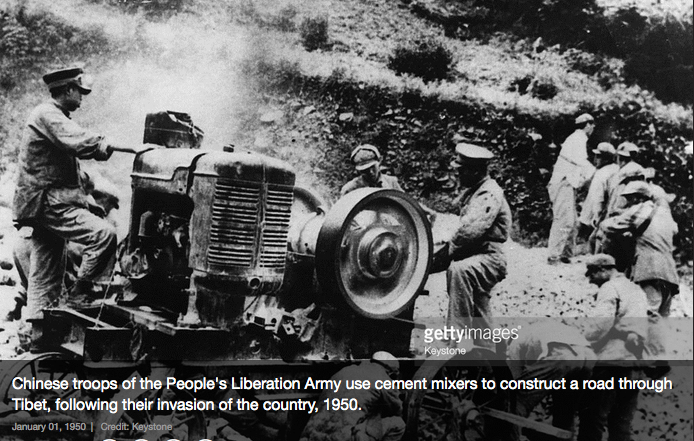 For CCP, roads initially assisted in colonizing the urban spaces of Tibetan elites. After the brief collaboration failed, they went after the Tibetan Lamas; arresting, torturing and killing them, and causing the public to rebel. The Chinese responded by bombing Tibetan monasteries and this, according to Tibetan resistance fighters, meant war. In this space of war, using the roads they had Tibetans build, China deployed troops and weaponry to Tibet, and the war they began, was won. This war on Tibetans and their mandalized places did not end until the end of Cultural Revolution, at which point, they had almost succeeded at destroying all of Tibet’s most sacred monasteries. Under CCP rule, Tibetan places were reincorporated into, what Makley calls, the “communist sociospatial order,” and through this imposed reordering of spaces, existing masculine roles for Tibetan men (and their attachment to the feminine), attached to the ways in which Tibetans created their own space, place, and prestige (status) were eliminated. 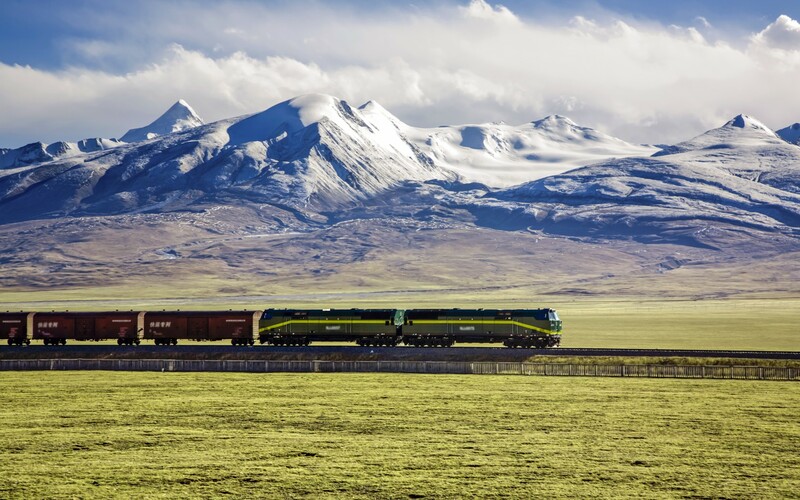 However, in 2000, China launched its “Go West” campaign to stimulate development and capital accumulation for its peripheral colonized states like Tibet, Uyghurstan, and Inner Mongolia. After China’s successful adoption of capitalism in the 80s, and the massive transformation of its urban cities into industrial hubs, China turned its attention to its colonized states on the frontiers. The Go West campaign would intensify existing urbanization programs launched in places like Lhasa and would eventually discover rural Tibet and its natural resources. Under the Go West campaign, Tibetans were allowed to rebuild their monasteries for tourist consumption, for it generated high revenues and tourist initiatives were expanded–with Lhasa, one of the first Tibetan towns to have been urbanized under the CCP control, serving as its blueprint–to incorporate other Tibetan towns with the aim to urbanize them for the purpose of capital accumulation. The town in which my grandfather was born and raised in Kham was renamed Shangri-La from Gyalthang in the mid 90s to attract Chinese-led tourist initiatives. The word Shangri-La is a mispronounced and Anglicized word for the Buddhist Shambala (meaning place of peace) by British orientalist writers who had read too many memoirs on Tibet by British colonial officers who invaded Tibet in 1904, this British invasion would go on to enhance existing Chinese insecurities, which would inspire them to acquire Tibet as its colony—but this is another imperial story for another time. By the end of 2006, China had completed its railway from Beijing to Lhasa, followed by a successful campaign backed with financial incentives to encourage permanent Chinese settlement into cities like Lhasa–which has led to extreme class disparities not only between the Chinese and Tibetans but between Tibetans rich and poor. 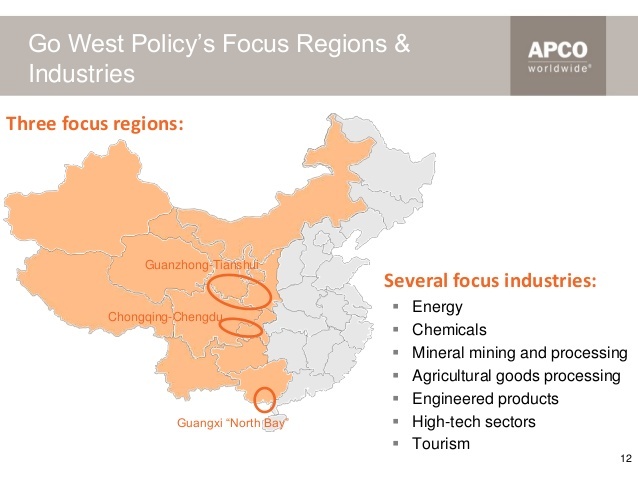 With ongoing construction of roads and other means of transportation, state owned industries in mining, damning and other enterprises began popping up across the grasslands. Under the banner of development and modernization, the colonial state of China began removing and displacing Tibetan nomads off their communally shared grasslands and forcing the poorer ones into urban enclaves where they become intensive laborers in search of cash-income–something they didn’t depend on before. Justification for these projects, in addition to the invasion of Tibet, were made using the age-old ideological argument that all imperial states have used since time-immoral which painted the ‘backwards’ natives as ‘lacking’ the sophistication to produce surplus value (profit) off their land. These ideological arguments help to justify the construction of laws that Wood (1999), Cruikhshank (2006) and Teaiwa (2014) argues, serve to legalize state colonization of native (ideological) spaces and (literal) places. In this process of “accumulation by dispossession” (Harvey, 2006), Tibetans have responded in a number of ways in varying degrees. These responses can be described as Lefebvre’s “differential” or Harvey’s “alternative” spaces of revolt. In 2008, I witnessed the largest Tibetan revolt ever recorded in Tibetan history. The rebellion lasted for several months; it began in Lhasa, and spread across Tibetan provinces of Amdo and Kham. Chinese military was deployed and the rebellion was forcibly shut down. Then in 2009, monks, followed by nuns, teenagers, nomads, mothers, fathers, old men and women began lighting themselves on fire to protest the Chinese state. As of now, over a 140 Tibetans have self-immolated inside Tibet. In her research in early 2000s, Makley records Tibetan men in Labrang as expressing overwhelming feelings of disorientation and alienation (see Marx) since the Chinese began their management of Labrang. The sociospatial order the Chinese have imposed on Labrang has meant traditional roles have either been eliminated or reordered, resulting in the emasculation of Tibetan masculine roles. This new imposed sociospatial order does not correspond with how Tibetans see their masculinities and landscapes. 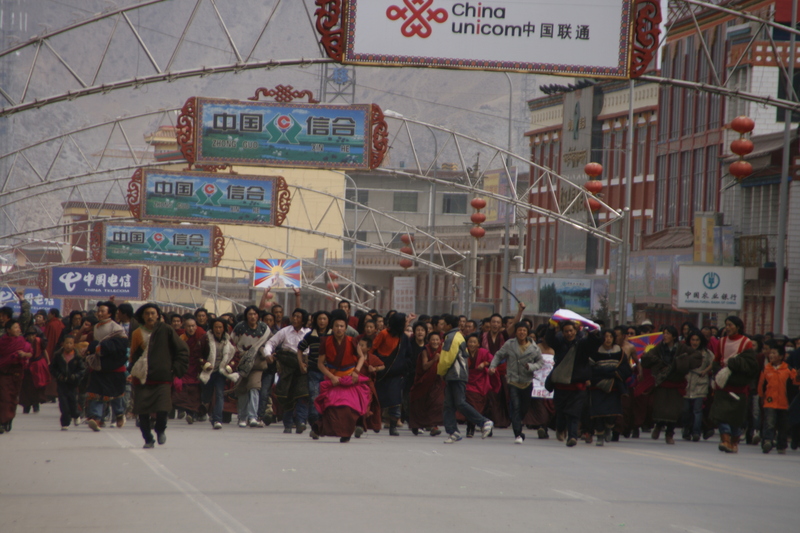 During the 2008 uprisings, Labrang was home to one of the bigger protests that took place. Many of the self-immolations that followed took place in Labrang. Tibetans outside of Tibet, who still had kinship connections inside Tibet, held public press meetings and protests to address the Chinese state media’s attempt to cover-up or misinterpret these incidents in the international arena. Tibetan refugees in India and Nepal, a precarious group, organized publicly despite bans imposed by their host nations who were being directed by authorities in Beijing—bringing to mind the imperial nature of capitalist control. 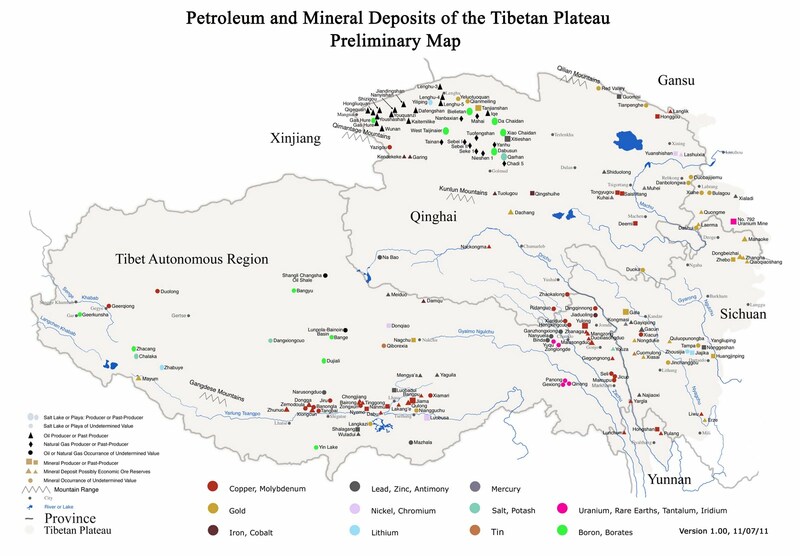 In response to the differential space of revolt that Tibetans across the plateau and beyond produced, China has extended its development projects more aggressively to include initiatives that aim to reshape Tibetans into capital consuming and producing subjects. In 2009, in the region of Amdo, provincial government launched an educational campaign that succeeded in closing Tibetan run schools, redirecting children from those schools into state-run boarding school systems that favor Chinese capitalist concepts of subject formation and negate Tibetan ones. However, in addition to life-risking protests, Tibetans have continued resisting with less risk involving campaigns like refusing to speak Chinese on a daily basis or creating youth groups to assist each other in the promotion of Tibetan identity. In exploring the practice of cham, we learn one of the ways in which Tibetans have culturally and historically constructed our own sense of place. Furthermore, we also learn that in such spaces of place making, masculinities, femininities, and status are constructed and contested. China’s current move to adopt capitalism as its preferred economic avenue has meant such spaces were erased during the time of invasion and reconstructed for the purpose of capital accumulation during the era of development and modernization. However, more than anything, China’s management of Tibetan landscapes has brought an end to certain Tibetan roles attached to Tibetan concepts of being/identities that have existed for centuries—while others were simply reordered, like the role of the Lamas, to serve Chinese legitimacy and campaigns inside Tibet. These roles, attached to Tibetan place-making, are deeply historical and cultural, and inform, more importantly, ways in which we form our sense of self as Tibetans—these are subjectivities attached to our ideas of masculinities, femininities, and other ways in which we approach our fluid ideas of our identities. The ways in which we construct our own place informs the ways in which we approach our identities as Tibetans. That is why we react so emotively when we see it destroyed, and/or are removed from it for those of us in exile. Our places are carriers of histories that inform our familial histories, histories that shape who we are, who we want to become. Understanding how Tibetans make place helps me understand the alienation my grandfather felt in exile, having been removed from a deeply historical and familiar homeland. It also helps me understand why those of us in exile, due to our precarious status at varying levels, always feel, out-of-place, due to the inability to access homeland. Despite China’s modernization projects that aim to destroy and reorder our landscapes and us, what keeps me hopeful are the ways in which Tibetans inside and outside Tibet continue our traditions of place-making old and new, to create spaces of community, family, continuity. Cruikshank, Julie. 2007. Do Glaciers Listen? : Local Knowledge, Colonial Encounters and Social Imagination. University of British Columbia Press. Harvey, David. 2006. Spaces of Global Capitalism: A Theory of Uneven Geographical Development. Verso. Lefebvre, Henri. 1991. The Production of Space. Wily-Blackwell: Oxford. Makley, Charlene. 2007. “Fatherland,” in The Violence of Liberation: Gender and Tibetan Buddhist Revival in Post-Mao China. University of California Press. Wood, Ellen. 2002. The Origin of Capitalism: A Longer View. Verso. Smith, Neil. 2008. Uneven development: Nature, Capital, and the Production of Space. University of Georgia Press. Teaiwa, Katerina. 2014. Consuming Ocean Island: Stories of People and Phosphate from Banaba. Indiana University Press.